Now it’s time to say goodbye… | Sew Lindsay, Sew! Years later, after graduating from college and following a multitude of dreams, I don’t actually LIVE in Minnie Mouse’s house – after all, it’s still Minnie’s house – but I do find myself visiting Magic Kingdom Park quite often. More often than I ever could have imagined back when I was 19. Today was the last day of operation for Mickey’s Toontown Fair, where Minnie Mouse’s house resides. 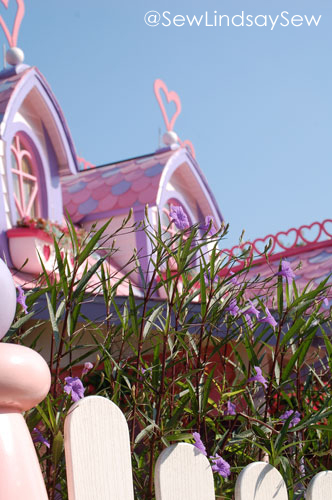 Toontown is closing to make way for many exciting changes as a part of the Fantasyland Expansion. 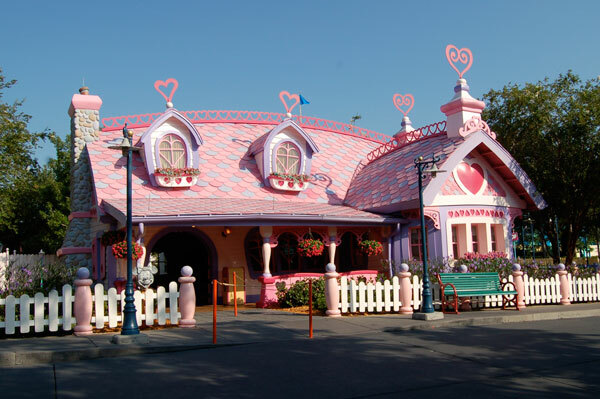 I’m giddy about the future of Magic Kingdom, but I can’t help but feel a pang in my heart and my stomach knowing that I’ll no longer be able to take a stroll through Minnie’s house. 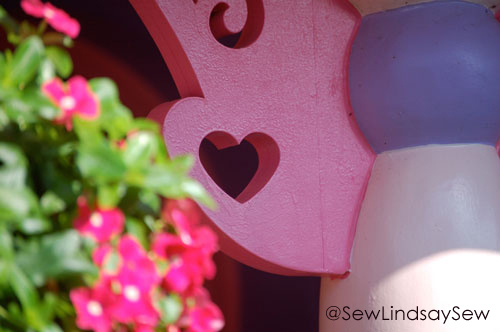 And believe it or not, Minnie Mouse has a sewing machine. As if she weren’t already my idol! I had no idea Toontown was closing! This is really sad!